Parc Botannia, an upcoming residential condo will grace the Fernvale Road with its state-of-art architecture and ability to deliver comfortable and quality living. With 735 residential units, the residential unit will be built over approximately 185, 100 sqft with 4 towers of 22 Storeys high apartments. With a well-thought development plan, Parc Botannia at Fernvale promises the residents of Singapore a place to live with high-tech amenities and luxurious lifestyle. Located at the junction of Fernvale Road and Sengkang West Way, Parc Botannica is minutes away from the Thanggam LRT station. With a wide range of indoor and outdoor recreational amenities, Parc Botannia is an ideal living space for people who prefer living in a neighborhood full of comfort, class, and facilities. The well-built housing is one of the leading residential units in Singapore with modern architecture and apartment layout. Not only the Parc Botannia has the potential to offer high-standard living but also add the best of leisure to it. Parc Botannia extends a luxurious swimming pool, a well-equipped gym, a state-of-art pavilion to conduct personal or professional businesses. Closely connected to the main spots of the city, Parc Botannia is a few minutes’ walk from The Thanggam LRT station. It is an ideal residential location with a distance of 4 LRT stations and 6 bus stations from the Sengkang MRT station. Parc Botannia very well caters to your shopping and living need with has Seletar Shopping Mall at the closest distance. The Compass Point, Rivervale Mall, Rivervale Point, and Greenwich are some nearby options to explore for your day-to-day living needs. Why must you invest in Parc Botannia? 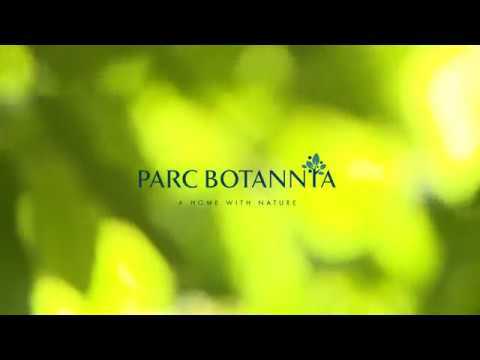 Parc Botannia is a project executed with excellence and expertise of the builders and developers. It offers you a variety of reasons to buy a condo and explore the classic style of living. It is a 185, 100 sq ft. residential plan, which includes 735 residential units under 4 towers of 22 Storeys high apartments. Situated in a prime location, junction of Fernvale Road and Sengkang West Way, the condo apartments has its own Swimming pool, gym, pavilion and many other amenities. The Punggol Reservoir, Sengkang Riverside Park and Sengkang Sports Hall Recreation Center, are some of the outdoor recreational centers close to Parc Botannia. Parc Botannia is a promising residential condo unit with many upcoming projects scheduled in the neighborhood. By investing in Parc Botannia one can secure a chance to experience next-level living and pleasure of a comfortable and contented life. Parc Botannia price start from $5xxK onwards. Description Proposed Condominium development comprising of 4 blocks of 22-storey building (total 735 units0 with 1 Childcare centre and carparks at basement level.